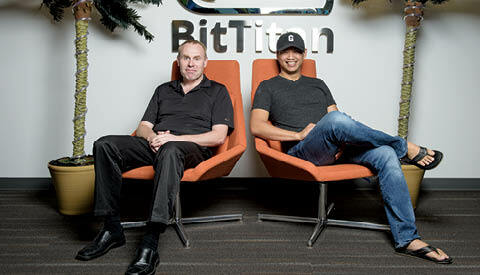 The way BitTitan founder and CEO Geeman Yip sees it, operating in the cloud provides a path to freedom. As companies rely more on technology, their decision to migrate services to the cloud offers an unmatched means of keeping overhead costs in check. Yip observes, “No one ever says, ‘I want to double my IT department.’” Accordingly, BitTitan’s MSPComplete platform helps managed-service providers move end users to those services through a comprehensive cloud-enablement platform. This “business in a box” includes tools that help IT service providers, system integrators and resellers generate sales, get customers onto the cloud speedily and service them once there. After nine years of bootstrapping, BitTitan recently completed its first $15 million financing round from TVC Capital to support its rapid growth as a key player in the cloud. Already, BitTitan has helped more than 6,000 worldwide customers grow their businesses by enabling more than 100,000 companies to benefit from the cloud. “We’re in this business to make the cloud profitable,” Yip declares. Big companies can spend big money moving their IT operations to the cloud, but small and midsize businesses typically pay as they go. For the past five years, SkyKick’s software suites have helped thousands of companies integrate their singly adopted cloud services such as Dropbox and SharePoint to a centrally managed platform and migrate to others like Microsoft Office 365. Its comprehensive cloud-backup service provides extra security, too. SkyKick’s research suggests that since employees of small and midsize companies worldwide spend more than three billion hours on cloud management each year, there’s ample room for change.